Sideshow Collectibles is proud to present the officially licensed Indiana Jones fedoras of premium hat maker Dorfman Pacific. Each handcrafted hat is made of the highest-quality material. 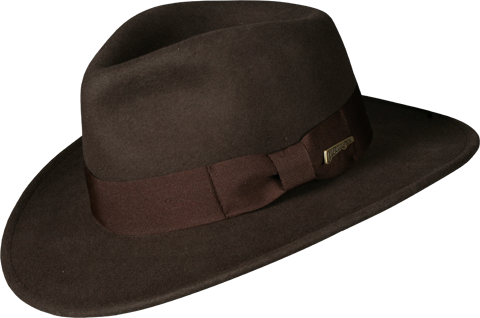 The 100% wool, crushable Indiana Jones fedora can be rolled, folded, or scrunched and will return to its original shape. Each piece features a 2.5" brim with grosgrain ribbon trim and an official Indiana Jones pin. Sideshow Collectibles is proud to present the officially licensed Indiana Jones fedoras of premium hat maker Dorfman Pacific. Each handcrafted hat is made of the highest-quality material. 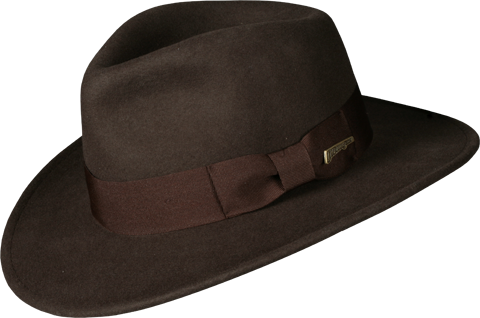 The 100% wool, crushable Indiana Jones fedora can be rolled, folded, or scrunched and will return to its original shape. 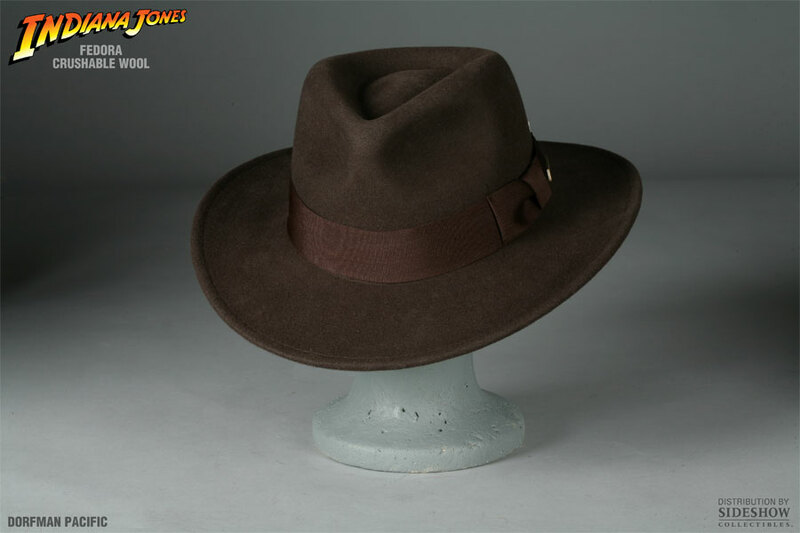 Each piece features a 2.5" brim with grosgrain ribbon trim and an official Indiana Jones pin. Men's size LARGE. Sideshow Collectibles is proud to present the officially licensed Indiana Jones fedoras of premium hat maker Dorfman Pacific. Each handcrafted hat is made of the highest-quality material. 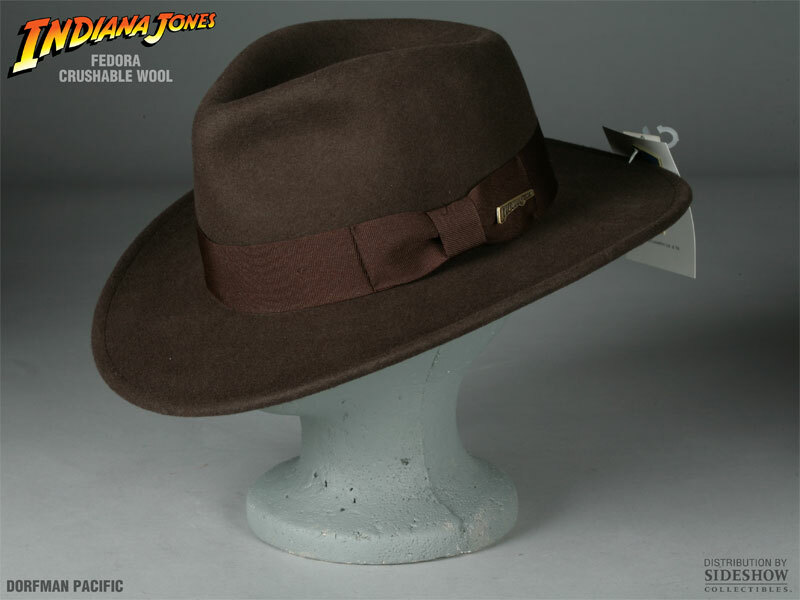 The 100% wool, crushable Indiana Jones fedora can be rolled, folded, or scrunched and will return to its original shape. 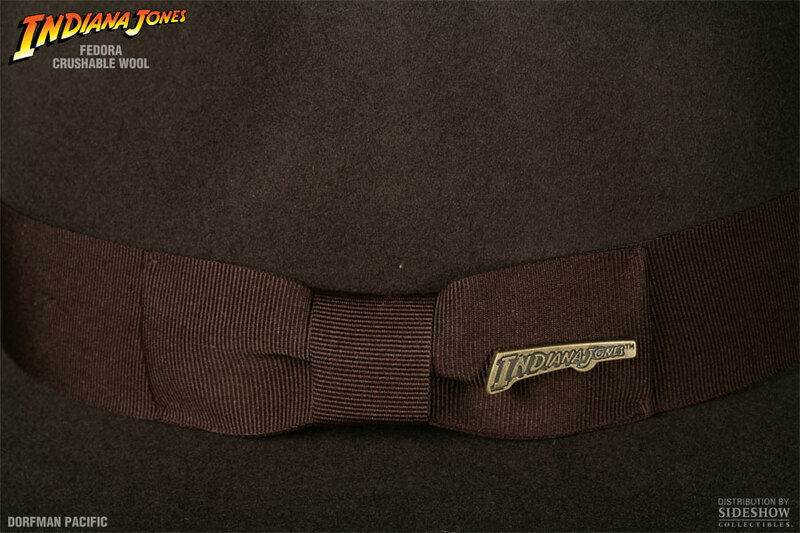 Each piece features a 2.5" brim with grosgrain ribbon trim and an official Indiana Jones pin. Men's size X-LARGE. Hat worn daily since Sept 2008 in bright sunlight. Quite a bit of fading, but fades evenly. Excellent comfort. Excellent resisting wear and tear. Keeps shape VERY well. Still looks great. Will buy another! At first, I was only going to give 4 stars because it took 3 weeks to recieve, but let me tell you, it was worth the wait. Really nice hat for the price. 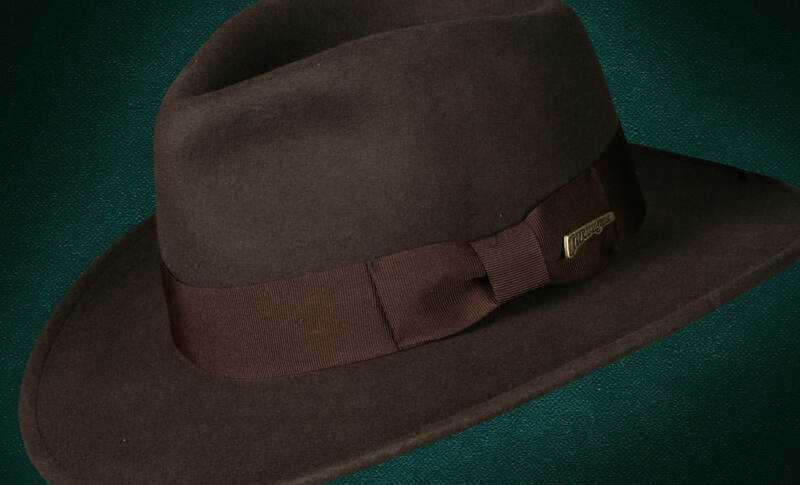 Don't expect Stetson Beaver Pelt, but do expect a nice substitute for an affordable fedora. Now all I need is a whip!